The Unbound world is full of people gathering up their courage and taking risks in order to find success. Our sponsored friends and their families give us amazing examples of how we can all be at our best for each other. The following stories are about three women from the Unbound world who exemplify this strength and teach us what it means to be courageous. Yomira, left, teaches Unbound scholarship students Gisela and Anjely about the record system used by the Lima office in Peru. The students work in the office to fulfill community service requirements of the scholarship program. 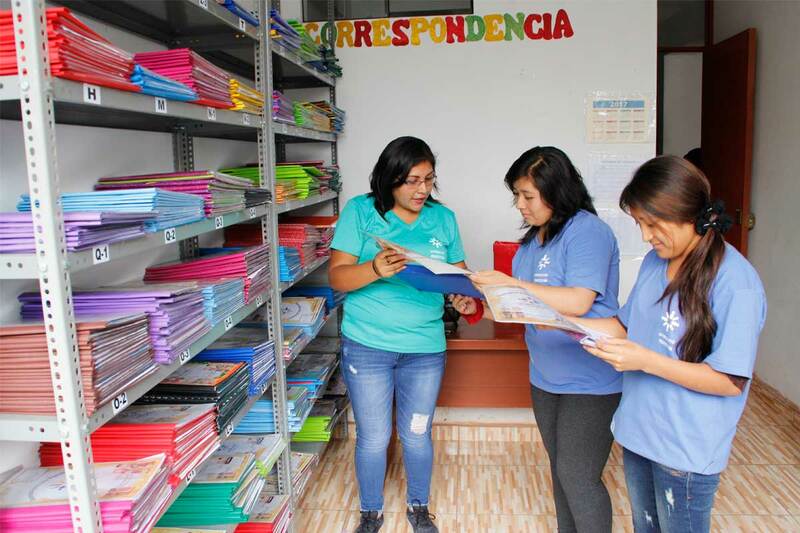 Yomira, 22, is a former sponsored child who is now a full-time Unbound staff member in Lima. Growing up in a small community outside of Lima, Peru, Yomira and her peers were confronted with drugs, gangs, prostitution and alcoholism. Relying on the values of her strong family and a healthy sense of self-esteem, Yomira was able to avoid these pitfalls. She channeled her energy into dance, where she performed with a group at schools and public events. Difficulties did come, however, when Yomira became pregnant at a young age. Since she had established good communication with her Unbound sponsor, she decided to share the news with her. “At first, I thought, ‘I’ve lost everything.’ My parents were upset with me, and I thought she [my sponsor] was not going to continue being my sponsor; I really did not know what to do,” Yomira said. “But she wrote me and told me that she was going to continue supporting me. For Yomira, courage brought her through the challenges of youth and allowed her to share about her life with honesty, even when that honesty meant risking something important to her. By opening up, she was rewarded with a meaningful relationship and ongoing support as she finished her studies. As a social worker for Unbound today, Yomira continues to use that resolve as she confronts the same kinds of issues in her community that she was faced with as a teen, and she helps others to do the same. 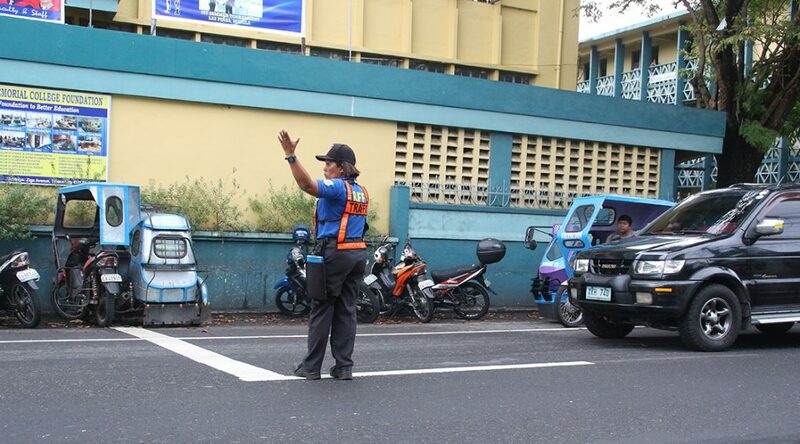 Crisanta directs traffic for the City of Tabaco,located near Mount Mayon in the Philippines. 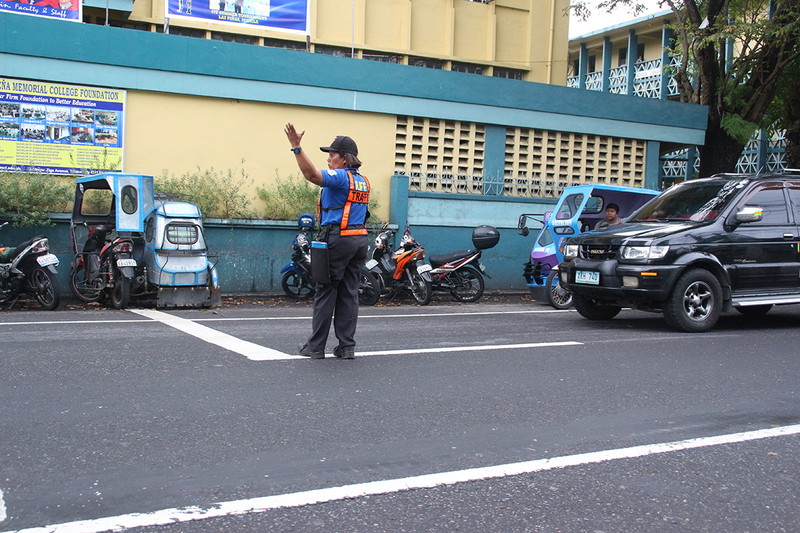 In the Philippines, 45-year-old Crisanta, mother of sponsored teen Kyla, works as a traffic enforcer in her community. Not too long ago, Crisanta had an unusual day. She noticed a bag left behind in a public restroom and recalled having seen a woman carrying it not long before. Some might have been tempted to see what was inside, but Crisanta’s instinct was to act quickly to return the bag. She grabbed it and started running, looking for the owner. When she saw her, the woman was already halfway across the road, but Crisanta ran after her. Later, Crisanta learned that the woman had called the city to tell officials about the good deed. She also learned that she would receive an award from the mayor for her actions. Crisanta is a role model for all of us for her commitment to goodwill and doing the right thing. Tabitha prepares vegetables to sell. 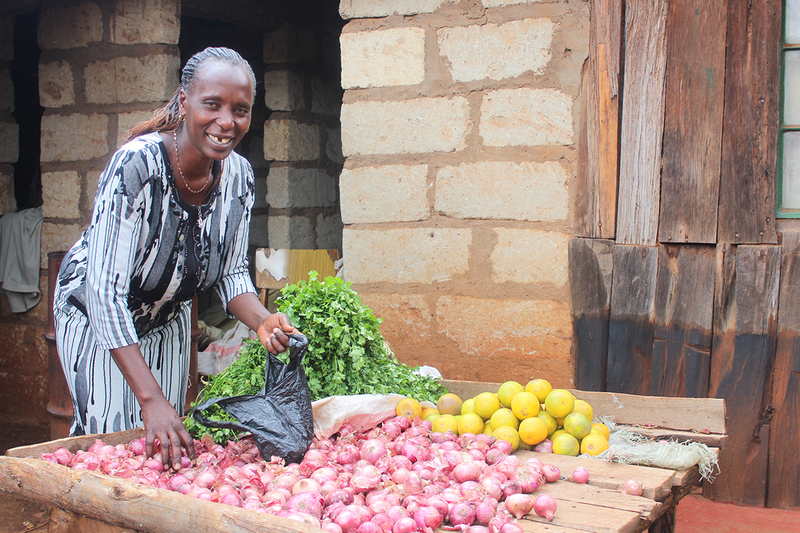 Tabitha, 47, is a single mom living in rural Kenya. She has two children, and her son, Francis, is sponsored through Unbound. An announcement at church changed the course of Tabitha’s life. The announcement was about Unbound’s sponsorship assistance, and Tabitha gathered up the courage to ask for help. Later, her son was sponsored and things began to improve for the family. Through an Unbound mothers group, Tabitha had the opportunity to step up and create even more change in the life of her family. As part of the group, she made contributions to a joint fund, which meant she could then take loans. Today, she’s the chairwoman of her 22-member mothers group, coordinating the group’s activities and guiding its members. Tabitha knows that it takes strength to take steps forward, especially as borrowing money involves risk. She adds that her experience shows that enduring difficulties can lead to success. And it all started with a little courage. With a master’s degree in international studies, Maureen has long been passionate about international development and loves using writing as a means to share that passion. She is a globetrotter, movie lover, Sporting KC fan, yoga teacher and self-designated crazy cat lady. Maureen and her husband, Toby, sponsor an elder in Kenya named M’Nkanatha and a young woman in Guatemala named Vivian.